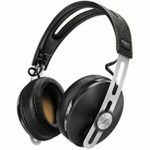 Why should I buy a pair of wireless noise-canceling headphones? 4. Sony MDR-1000x – Get Rid Off Noise in all Conditions. The best headphones need about 100 hours of listening time before they can supposedly give out their natural sound. Bear this in mind the next time you buy headphones. 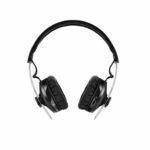 Looking for the best wireless noise-canceling headphones? Well, you have to the right place. First, noise-canceling headphones actively block the surrounding noises so they do not interface with your movies and music. With these wireless noise-canceling headphones, you don’t have to turn up the volume just to block out external noise (turning up the volume is not good for you hearing). These headphones will work to isolate and remove all the unwanted sounds. This means you can listen to your tunes and moves at much lower volumes. Another impressing thing about these headphones is you don’t have to worry about having a tangled headphone cable. And again, who needs wires that will keep dangling every time, especially when at the gym. Also, wireless headphones lave longer battery life, meaning you will experience longer periods listening to your tunes. 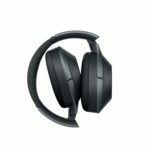 Here you will find honest and unbiased reviews of not only the best-selling but also the top rated wireless noise canceling headphones available on the market today. However, with so many choices available in the market today, it becomes very difficult to find the best wireless noise-canceling headphones for you. 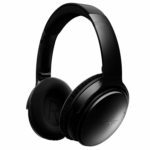 That is why I have compiled a list of the Top 5 Best Bluetooth Wireless Noise Cancelling Headphones that will help you buy the best wireless headphones that meet your budget and needs. The Bose Quiet Comfort 35 wireless headphones are extremely comfortable to wear with soft padded ear cups which fit snugly around your ears. They fold flat enabling you to neatly pack them away when you are not using them. The ear cushions on these headphones are made from an agile synthetic-protein leather which rests gently against your head. The headband is wrapped in Alcantara (the soft material found on yachts). The Bose QC35 has perfectly designed controls. The right ear cup houses all the magical controls. On the side you will find Bluetooth pairing switch on the bottom of the ear cup, you will find small indicator lights and playback controls. You will also find NFC chip for quicker pairing with compatible Android devices such as smartphones and tablets. On the outside of the ear cup, there is a button for turning on the noise cancellation. At the rear edge of the ear cup, you will find protruding volume controls and the multi-function button. At the bottom of the left ear cup, you will find an audio input for those moments your run out of juice. Another impressive feature of Bose QC35 is Active Noise Cancellation. The moment these headphones touch your ears, the noise around you disappears even without music playing. With Bose QC35, you can find exceptional comfort even in noisy environment. Whether you will be working, relaxing or traveling, you only need to switch to ANC and you will be blocking the surrounding noise. The Bose QC35 features volume-optimized EQ that balanced audio performance at any volume. The Bose QC35 features longer battery life that lasts up to 20 hours just on a single charge. With Bose QC35, you can spend all day long listening to your favorite tracks continuously. For instance, let’s say you will be taking a long flight and you will need more than 20 hours, you can double the bather to around 40 hours by plugging the included audio cable only using the ANC without Bluetooth enabled. It is relatively lightweight and weighs just 8.3 pounds and measures 7.1-inches by 6.7-inches by 3.2-inches. I didn’t feel any discomfort wearing the Bose QC35 for 2 hours straight. You can also use Bose Connect App for a more personalized experience. The Bose QC35 package comes including an airline audio adapter, 3.5-millimeter audio cable for listening where the battery dies, and a USB cable for charging your headphones. Lightweight and very comfortable wireless design. 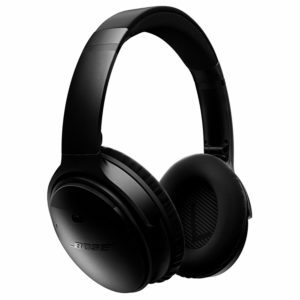 In my opinion, I think the Bose Qc35 is the excellent wireless noise-canceling headphones. 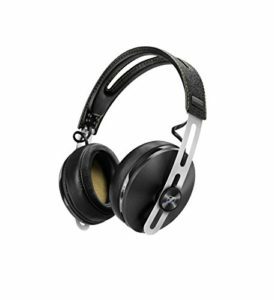 Another the best wireless noise-cancelling headphones that I recommend is Sennheiser Momentum 2.0 Wireless are second generation headphones that allow you to enjoy the crystal clear momentum sound without being attached to a cord. The Momentum 2.0 Wireless works with all the Bluetooth-enabled devices such as smartphones, tablets, and even computers. These headphones feature Noise Gard hybrid ANC that eliminates any ambient sound that you don’t want; hence enhancing your audio experience. The Momentum Wireless 2.0 comes equipped with an NFC that enables you to pair all your NFC enables devices with a sing touch. The ear cups are lined with thick memory foam pads covered in soft leather encircling a felt-lined interior. The headband is lined with stainless steel covered in soft leather all over. Memory foam ear cushions provide extreme comfort for long listening sessions. The stainless steel headband is foldable, meaning it is easy to pack in your carrying case and take them with you. On the right ear cup, you will find a power pairing button and a multi-function switch which controls volumes, song skip, and play/pause. The SoundLink II Headphones come with an NFC that makes pairing much easier. These Sennheiser headphones feature dual inbuilt microphones that dynamically cancel out external noise for perfects speech intelligibility. This means your voice will sound crystal clear where making or taking a phone call. 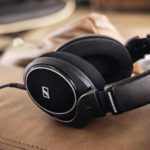 What makes the Sennheiser Momentum Wireless 2.0 outstanding is that they can connect up to two devices all at the same time and up to 8 devices in the pairing list. The Momentum 2.0 Wireless incorporates apt-X-codes, providing CD-quality audio when connected to a Bluetooth apt-X-enabled device. Another impressive feature is longer battery life that can last up to 22 hours with the Bluetooth and Noise Gard activated. The Momentum 2.0 Wireless has a massive bass response. The highs are boosted and the mids are recessed. This model brings out the best in all kinds of music. The sound quality is remarkable even with noise cancellation enabled or not, or even between wired and wireless modes. 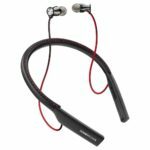 The Momentum 2.0 Wireless Headphones come with a two-year limited warranty when you purchase the headphones from an authorized Sennheiser dealer. This wireless headphones measure 7.4-inches by 4-inches by 9.9-inches and weighs only 1 pound. The Momentum 2.0 Wireless package comes including a USB for charging, an airplane adapter, cables for plugging in directly to the source, and a soft case. Always remember; when inserting the detachable cable into your headphones, you must ensure produces a click of a sound and the twist the cable to the right (Clockwise) to lock the cable in place. Bass response will be too much for some people. 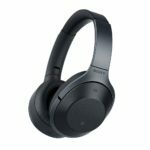 Third best wireless noise-cancelling headphones, the Beats Studio Wireless comes with an inbuilt rechargeable battery that can last for up to 12 hours when using a wireless connection and 20 hours when plugged in. This model features an Auto On/Off switch that turns your headphones off when you unplug from the wired connection to prevent wasting energy. Also, has a battery fuel gauge that allows you to know how much juice is left. You can charge your headphones almost anywhere, thanks to its micro USB. 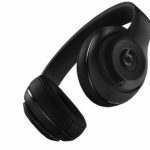 The Beats Studio Wireless has massive and heavily cushioned ear pads and a more comfortable headband for a secure fit which allows you to listen to your tunes for an extended period of time. The left ear cup sports a slim 3.5-millimeter jack for wired connections while at a desk, and pause/play and volume buttons. On the right ear cup, there is a micro USB port for charging the battery, LED lights for power and battery level. The Studio Wireless features dual-mode adaptive noise canceling and has an inbuilt mic that allows taking your calls. According to the Beats, you can pair and play you Bluetooth enabled device with a 30-foot range. It can go as far as 45 feet before the connection experiences any interruptions. 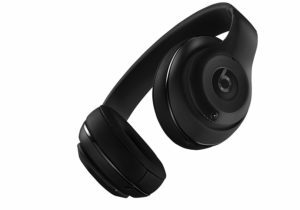 In the Beats Studio package, you find Beats Studio Wireless Headphones, 3.5 mm audio cable, USB 2.0 (USB-A to USB Micro-B) and a hard-shell carrying case with a carabineer clip. The bass cannot be for some people. Soft ear cups have an ergonomic bellow that creates a flexible custom fit. 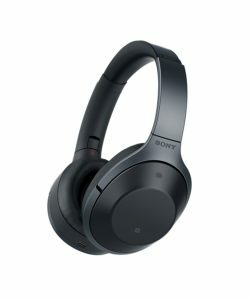 The Sony MDR-1000x Wireless Headphones come equipped with long-lasting battery life that lasts up to 20 hours of continuous wireless tune playback. This model has an ambient sound mode that allows you to listen to your tunes without any interruptions while still catching important announcements. Another impressive feature is the ability to muffle your music and allow the outside world in by only holding your hand over the right earcup, where the touch sensor control is mounted. When you are done taking your call, you only remove your hand, and the music resumes playing, and the noise cancellation kicks back in. When it comes to noise cancelling, these wireless headphones are the best wireless noise-cancelling headphones. The MDR-1000X features a personal noise cancelling optimizer which adapt to your surroundings and eliminates noise in all conditions. The Sony MDR-1000X are the most comfortable headphones that everyone would love to own. They have a pretty polished metal in the headband, and the ear pads and ear cups are covered in a synthetic leather even you won’t notice you are wearing them. The ear pads area lined with a polyurethane foam that adapts to the shape of your head. On the right ear cup, there are touch controls for play/pause, song skip, and volume adjustment. On the left ear cup, there are power/pairing switch, noise canceling button, and ambient aware button. The Sony MDR-1000X has internal and external microphones. The interior mics take account for the shapes of your ears and head using Personal NC Optimizer functions. The external mics detect and counter external noise; they measure the ambient noise. The MDR-1000X allows you to connect to your Bluetooth easily enabled devices with NFC and enjoy Hi-Res experience as stream your tunes wirelessly with an in-built LDAC enhanced codec support. 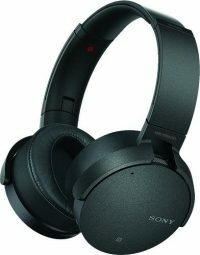 The Sony MDR-1000X Noise Cancelling Headphones only weighs 9.8 ounces and measures 6.3-inches by 4.5-inches by 9.5-inches. The Bose SoundLink II comes with a strong performance. The SoundLink II Headphones provides you clearer calls at both terminals of the communication. 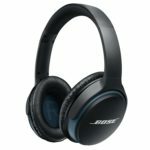 The Bose SoundLink II Wireless Headphones can last up to 15 hours’ continuous playback with a rechargeable lithium-ion battery. This model can switch between two Bluetooth enables devices, meaning you can watch your favorite video while at the same time, you are connected to your smartphone. The SoundLink II Headphones are lightweight and weighs 6.9 ounces, equivalent to 200 grams. Also, they are more comfortable than other wireless headphones in the same class so you can enjoy them all the day long. 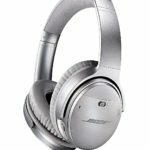 The Bose SoundLink II is one of top best wireless noise cancelling headphones which has an adjustable headband cushioned with memory foam underneath and has a faux leather on its top. The headphones are more comfortable to wear, thanks to the generously large ear cushions which goes around your ears. On the right cup, you will find power Bluetooth pairing switch and two-way microphone system that enables you to take calls without having to remove your headphones. Behind the right ear cup, there are LED lights for power and Bluetooth, as well as volume keys and a multi-function switch. On the left ear cup, you will find the port for the audio cable that enables you to listen to your tunes even when the battery dies. The headphones fold flat into the matching sleek protective case for easy travel and storage when you are not using them. In the package, you will find Bose SoundLink II wireless headphones, USB charging cable, backup audio cable and a sleek protective case. Another The Bose SoundLink 2 Headphones review give more information for this headphone. This is a comparison table of 5 best wireless noise cancelling headphones.